A robin took up residence on a porch light on East Lawn Avenue this past weekend. The mother-to-be laid a trio of eggs, with incubation beginning on Mother’s Day. 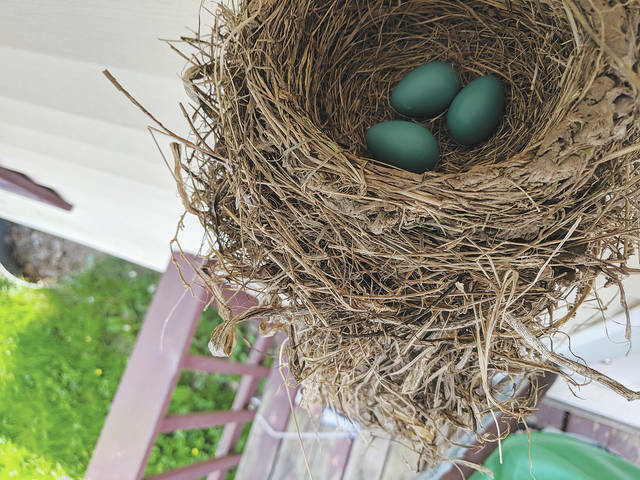 https://www.urbanacitizen.com/wp-content/uploads/sites/36/2018/05/web1_Nest.jpgA robin took up residence on a porch light on East Lawn Avenue this past weekend. The mother-to-be laid a trio of eggs, with incubation beginning on Mother’s Day.